(Newser) – A renowned jockey who was among the best in Pennsylvania history died Thursday of injuries suffered in a racing accident, the AP reports. 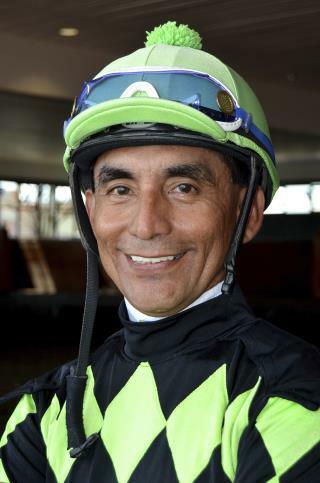 Parx Racing announced the death of Jose Flores, 56, who was racing Monday at the suburban Philadelphia track when his horse went down and Flores was thrown off. The jockey hit the ground headfirst and suffered a massive trauma. He was removed from life support Thursday afternoon. Flores won 4,650 races in a career that spanned more than three decades. He was the top career earner at Parx, formerly known as Philadelphia Park. TMZ calls him "legendary." "It's unbelievable, just sickening," Scott Lake, the top trainer at Parx, who has known Flores since 1991, told the Philadelphia Inquirer. "He was just tremendous, a nice guy, always a professional." Flores' mounts earned $64 million in nearly 29,000 career starts, according to the Equibase thoroughbred database. Parx called Flores an "outstanding jockey" and expressed condolences to his family. The Jockeys' Guild said Flores is the 157th jockey to die in a racing accident in unofficial records going back to 1940. The group said that before Flores, it had no record of a jockey ever being killed in an accident at a Pennsylvania track. The Inquirer says there was "absolutely no warning" before the horse, Love Rules, went down. Flores is survived by a wife and three sons. I hope the horse is OK. I couldn't care less about the jock. Horse racing is inhumane and should be universally banned. I agree with John Wayne, I hate horses. Ban assault horses! Ban assault tracks!